For most Americans, housing is the single biggest expense in their personal budget. According to the Bureau of Labor Statistics, the average household spends more than 30% of its after-tax income on housing expenses, including rent or mortgage payments, utilities, maintenance, and furnishing. For single people, the figure climbs to more than 40% of after-tax income. One way to reduce this cost is to share housing expenses with others. Doing this is one reason married couples tend to have lower expenses per person than single people. However, there’s another way to share housing expenses that’s open to both single and married people: cohousing. Cohousing is an arrangement in which many people live together in a community, with small homes for each person or family and larger areas that are shared by all. People who live in cohousing arrangements can save money, share chores, enjoy group activities, and form lasting friendships. Cohousing is a type of “intentional community,” in which people make a conscious choice to live together as a group. However, it’s not the same thing as a commune, in which a group of families jointly own a plot of land and share all their income and other resources. Instead, cohousing is more like a cross between individual and communal living. The people in a cohousing community have their own jobs, their own private lives, and their own individual living space. However, they also share space such as a garden, a laundry room, and sometimes a kitchen with their neighbors. They also share the work of maintaining these shared areas and keeping the community running smoothly. The cohousing concept originated in Denmark and made its way to the United States in the late 1980s. According to the Cohousing Association of the United States (Coho/US), there are now more than 170 cohousing communities in 36 states. The Common House. 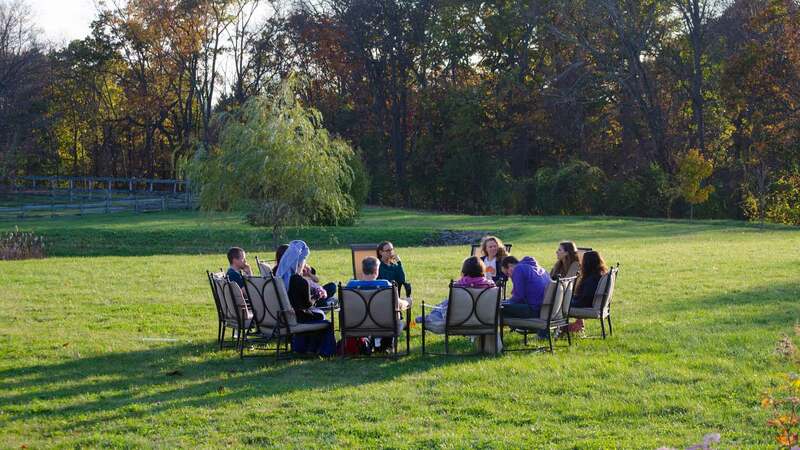 The common house is the “living room” of a cohousing community – the place where residents gather together for group meals, meetings, parties, and other activities. A common house typically has a large kitchen and dining area where residents can cook and eat together – either on a regular basis or for special occasions, such as weddings. There’s also usually a common laundry area, so residents don’t need to have their own washers and dryers, and a living room for lounging or holding meetings. A common house can also include guest bedrooms, a shared workshop with tools everyone can use, and a “kids’ room” for formal childcare or informal play sessions. Clustered Housing. Grouped closely around the common house are smaller individual homes. Depending on the location, these can be condominiums, townhouses, single-family houses, duplexes, or even tiny houses. Each one is a complete home with bedrooms, bathrooms, and a kitchen. However, because the common house provides many of the facilities that residents need, individual families can have smaller homes. Families don’t need their own guest rooms, play rooms, laundry rooms, workshops, or large living areas. They can also have smaller kitchens because the common room kitchen provides a place for all those appliances that are only used once in a while. Keeping the individual houses clustered close together leaves more room for open space and helps keep neighbors in touch. Outdoor Space. Along with the common house, cohousing residents share outdoor spaces, such as parking areas, walkways, lawns, and gardens. Typically, parking is on the outer edges of the community, and the inside has narrower pedestrian walkways where residents can cross paths with each other daily. Keeping the inside of the community car-free also forms a safer place for children to play. Outdoor areas can also include special amenities such as a pool, a hot tub, or a playground for kids. Shared green space for gardening, playing, and socializing is a key part of a cohousing community. According to the Cohousing Association of the United States (Coho/US), cohousing communities can have anywhere from 7 to 67 individual units, but most have between 20 and 40. A single community can house a wide range of households, including single people, childless couples, parents with young children, and retirees. Urban Communities. Within a city, cohousing can take the form of a condominium complex or a row of townhouses. Some urban communities put their parking areas underground to leave more open space on the surface for residents to share. When starting a new cohousing community in a city, the designers often make a point of building close to mass transit lines so that residents can get around without driving. New cohousing developments can also be a good way for redeveloping abandoned industrial sites, or “brownfields.” For instance, Doyle Street Cohousing in Emeryville, California, houses 12 condominiums and a common area in an old cement-mixing factory, plus three townhouse units in a separate building off to the side. Suburban and Rural Communities. Cohousing communities in the country have a bit more room to spread out. Individual units may be single-family houses or duplexes. 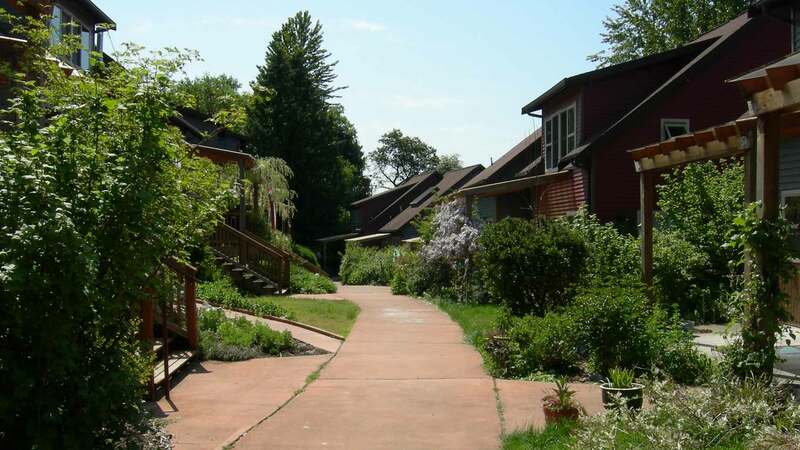 For example, Winslow Cohousing Group in Bainbridge Island, Washington, spreads 30 homes, ranging in size from studio apartments to four-bedroom houses, across nearly six acres of property. Rural communities often choose to cluster homes tightly together to leave more land available for farming, recreation, or wilderness. Ecovillage at Ithaca, New York, has 175 acres of land, and 90% of it is green space devoted to organic farming and wildlife habitat. Mixed Use Communities. 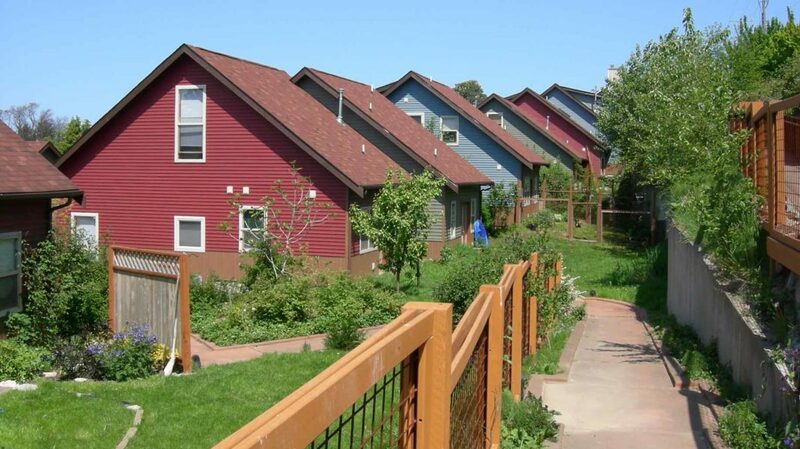 Some cohousing communities share their land with with businesses and public spaces. Swan’s Market Cohousing in Oakland, California, located in a former indoor market building, combines cohousing units with affordable rental apartments, shops, restaurants, offices, and a public courtyard. Senior Communities. Although most cohousing communities are home to people of all ages, some communities focus specifically on providing a home for seniors after retirement. Senior cohousing offers retirees a chance to live independently as they age, while still having a close-knit group of friends and neighbors to support them physically, emotionally, and socially. It offers older adults a chance to live with others who share their experience and interests, and to plan and manage both their neighborhood and their own care. Being part of a cohousing community offers many benefits. It makes it possible to enjoy a home with more amenities than you could afford on your own; it helps you protect the environment by sharing resources with the group; and, most importantly, it gives you a chance to be part of a caring community where neighbors look out for each other. When you look just at the upfront cost of homes in a cohousing community, this housing option doesn’t actually look any cheaper than buying a house somewhere else. In fact, a FAQ on cohousing published by Cohousing Solutions, a consulting service for developers of cohousing communities, admits that cohousing homes typically cost more than other new townhouses or condos of similar size. However, you have to remember that when you buy into a cohousing community, you aren’t just getting a home of your own – you’re also getting access to all the facilities in the common house and the shared grounds. For just a little bit more than you’d pay for a small home somewhere else, you get the kind of space and amenities that normally come with a much larger and more luxurious home, such as a big family room, a pool, a huge yard, a workshop, and a playroom for kids. So overall, cohousing gives you more bang for your housing buck. Utilities. Most cohousing projects are built in eco-friendly ways that save energy and water. 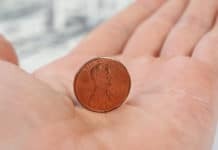 These resource-saving features cost more upfront, but they save you money on your utility bills every month you live there. The Fellowship for Intentional Community (FIC) reports that the solar panels at Nevada City Co-housing in Nevada City, California, actually earn residents more money on their utility bills than they owe. Food. In many cohousing communities, residents share meals on a regular basis. This helps them save on food by buying in bulk and avoiding food waste. Child Care. Living in cohousing makes it easy to find good childcare. Parents can take turns looking after each other’s kids or chip in together to hire a nanny, at a considerable savings per kid. Senior Care. Seniors living in cohousing always have people around to keep them company or give them a hand with chores. Also, those who live in special senior cohousing can hire one caregiver to tend to their medical needs, instead of each paying for their own. All this makes it easier for seniors to continue living on their own as they age rather than having to move into an expensive assisted-living community. When you put all these savings together, they can offset the added cost of buying a cohousing home and then some. According to the FIC, a survey of 200 cohousing residents found that living in cohousing saved them at least $200 per month on their entire budget. For some residents, the monthly savings came to more than $2,000. Sharing resources is an inherently eco-friendly idea. For instance, when people in cohousing share a laundry room, they eliminate the need for each of them to have a separate washer and dryer. In turn, this cuts down on the natural resources and energy that it would take to build all those machines. The same goes for all the other resources that cohousing communities share, from garden space to power tools. Preserving Open Space. Clustering houses tightly together leaves more green space open, which protects water quality and provides habitat for wildlife. Building in this way is a typical feature of smart growth. Growing Food Locally. The additional open space in a cohousing community can also provide be used for vegetable gardens that provide a significant portion of the members’ food. Growing food at home reduces the need for store-bought produce, which is often imported and has a high carbon footprint. Saving Energy. Many cohousing developments include condos or townhouses, which have shared walls. This type of dwelling requires less energy to heat and cool than a single-family home that’s exposed to the outside air on all sides. But even when cohousing communities contain single-family homes, they are usually built with energy-saving features such as good insulation and energy-efficient heating systems. Reducing Car Dependence. In urban areas, cohousing communities tend to be built within walking distance of schools, shops, and mass transit lines. This makes it easier for residents to drive less, which helps them cut back on fossil fuel use and air pollution. Members of the community can also cut back on car trips by running errands together. Teaching Green Skills. 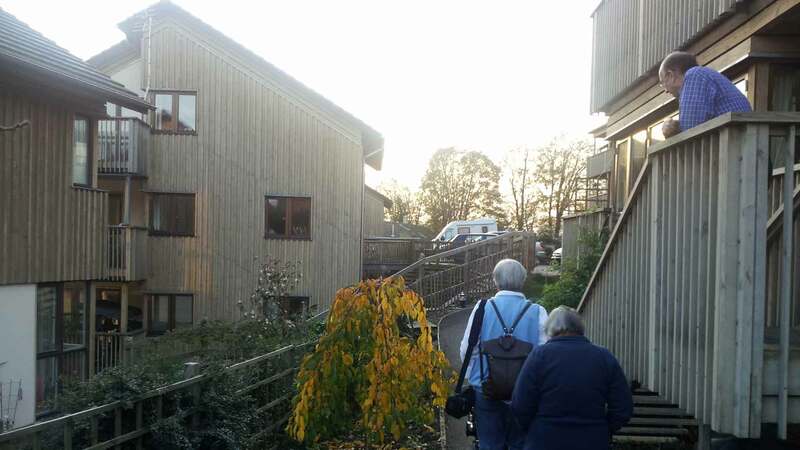 An article at Coho/US describes the results of a 1996 survey that asked 350 families how living in cohousing affected their ecological practices. One common response was that they were much more likely to recycle, conserve resources, and compost – mostly because they had more chances to learn about these skills from other people in the community who had more experience. One of the biggest perks of living in cohousing is the chance to be part of a community where people look out for each other. It’s easy to find a babysitter or someone to water your plants while you’re away on vacation. Seniors who have trouble shoveling snow or moving furniture can find a younger person to help them out. And, in a close-knit community, you have a better chance of knowing someone who can advise you on a job that requires special skills, such as replacing a faucet or updating your computer. 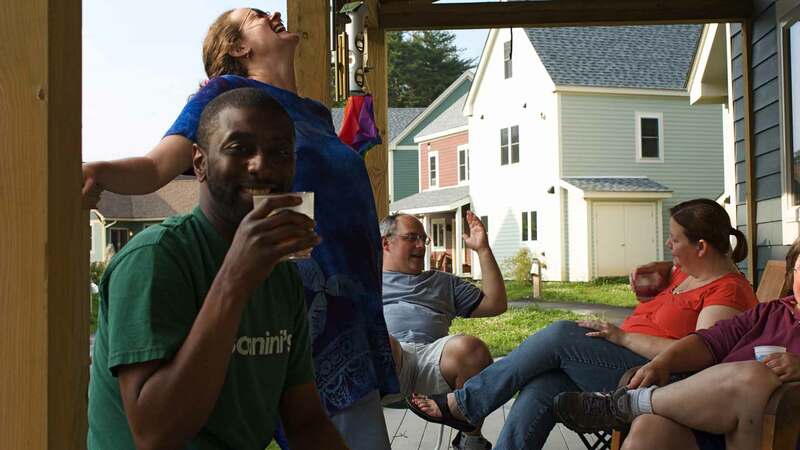 Along with giving each other practical help, people in cohousing often get together just for fun. In addition to having group meals, they play music together, watch movies, put on plays, and share celebrations such as weddings and birthdays. Although living in cohousing promotes closeness, it can also provide more privacy for families. For instance, if the common house has a shared playroom, kids can take their noisy or messy activities in there, where they won’t disturb parents who are trying to work or relax at home. And when families have visitors, they can put them up in the common house’s guest rooms, so they don’t have to shuffle people around or have a crowd in the bathroom every morning. When you live in cohousing, you share ownership of the common house and grounds with all the other residents. To make this arrangement legal, the owners can form a homeowners’ association (HOA), a condo association, or a housing cooperative. All the owners are members of this group and share the responsibility for maintaining the common areas. Cohousing communities have different ways of dividing up this work. One way is to set up work teams that are assigned to handle specific jobs, such as preparing meals, cleaning the common house, caring for plants, and making repairs. In some cases, each person works at each of these jobs in turn; in others, specific people sign up to do the jobs they prefer. Cohousing communities can also hold “work days” throughout the year when everyone pitches in to tackle a specific job, such as raking and bagging leaves in the fall. Members of a cohousing community also have to share the decisions about maintenance, upgrades, and community activities. Many communities do this through a process called consensus decision-making, in which people just keep talking and refining their views until they reach a solution everyone can agree on. This takes longer than having a simple majority vote on each issue, but it does a better job of reaching decisions that all the residents are satisfied with. All in all, joining a cohousing community is a big responsibility. You have to share in the work, attend regular meetings, and be prepared to work through disagreements with others. But if living in cohousing is more work, it’s also more play. You get to share meals, parties, games, clubs, and other activities with all the other residents – a perk you’re unlikely to find in a basic housing development. If you’re interested in joining a cohousing development, the easiest way to find one is through the Cohousing Directory on the Coho/US website. It lists all the cohousing communities in the country, sorted by state, including those that are just getting started. Each listing has some basic information about the community, a link to its website, and contact information. You can also browse the site’s classified ads. They list homes for sale in existing cohousing communities throughout the country, as well as new cohousing communities that are seeking members. You can also find professional services for people interested in building a new cohousing community. If you don’t live in the United States, you can try searching the listings of the FIC Directory. It lists cohousing communities in the United States and around the world, from Venezuela to Australia. You can also find listings for other types of intentional communities, such as communes, eco-villages, and Christian religious communities. Write a Vision Statement. Clearly outline what you want your community to achieve. Give a copy of this statement to every future member. Develop a Decision-Making Process. Before you can start to build your community, you need to make some basic decisions about how to run it. Decide what the requirements are for new members, who gets to make decisions, how to run your meetings, how to resolve conflicts, and how to keep records. Set down all these decisions in a second basic document that you can present to new members when they join. Set Up Your Finances. Next, start making some basic financial decisions, like how to pay for your expenses, who should be in charge of financial records, and whether to charge a membership fee. Sandelin recommends setting up a limited liability company, or LLC – a cross between a partnership agreement and a corporation – to keep the community’s assets separate from your own and to make it look more legitimate to banks and financial agencies. Make Bylaws. Look at the decisions you made back in the second step, and write them down as formal bylaws for your new company. If your state requires it, file these bylaws when you set up your LLC. You will probably have to change these bylaws over time as your community evolves, but having them written out gives you a record you can refer to when you need to settle a dispute. Get a Bank Account. Once you form an LLC, you will be able to get a tax ID number for your cohousing community. Use this to set up a corporate bank account, and use it for all your community expenses. Be sure to put someone responsible in charge of tracking these expenses for tax purposes. Collect Fees. Sandelin recommends charging all members a small sum to join your community – say, $100 to start with, and $20 a month after that. This will give you some starting cash for mailing, legal paperwork, advertising, and so on. It will also help you weed out people who aren’t really serious about joining. 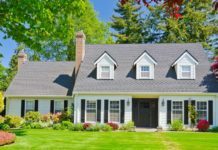 Once you’ve taken care of these basics, you can get down to the nitty-gritty business of buying land, building homes, and dealing with all the legal formalities, such as setting up an HOA. There are many resources on the Coho/US website that can help with this process: lists of recommended books, articles, names of cohousing professionals (such as architects and developers), and useful documents dealing with a huge range of topics, from financing to community gardens. And, if you have a problem these documents can’t answer, you can join the Coho/US discussion list and pose your question to all the group’s members. Living in cohousing isn’t for everyone. For some people, the amount of work involved in going to meetings and taking care of common areas is a deal-breaker. Others just don’t want to be so closely involved in their neighbors’ lives. It’s one thing to chat across the fence or exchange occasional favors, but it’s another thing entirely to share land and have dinner together every week. However, for those who crave the kind of close-knit community that used to be a more common part of American life, cohousing can be a way to find it. It offers a chance to know your neighbors as friends, enjoying each other’s company in good times and helping each other with challenges like a job loss or a new baby. Having this kind of strong support network makes it easier to get through troubled times and live a happier, healthier life. Would you like to live in a cohousing community, or do you think it’s not for you?